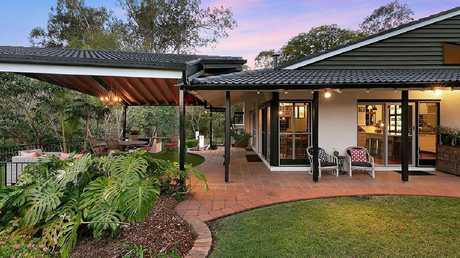 SURROUNDED by bushland and directly across from an eco-tourism park, it is hard to believe you are just 10 minutes from the Brisbane CBD. Named Dunvegan, this elevated home on Mount Nebo Road at The Gap has been in the same family since it was built in 1971. Four generations have called it home. Owners Lisa and Shane Harkin bought the property from Lisa's parents about 20 years ago, and have since raised their own four children at the home. "I had moved away to different parts of the state and when we came back mum and dad were selling the house so buying it seemed like the logical thing to do," Mrs Harkin said. "Back then we ripped up carpets, and pulled down the seventies wallpaper. 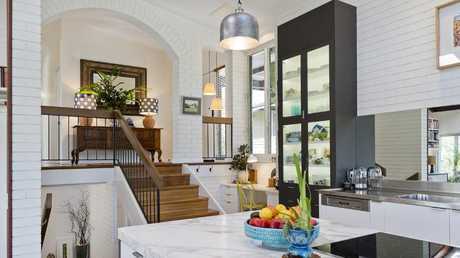 "It (the house) is on its third kitchen now. I did a big reno about six years ago, changed the layouts. "But our children have grown up and it is to big for us now." The four bedroom, two bathroom house, which is named after Dunvegan Castle on the Isle of Skye off the coast of Scotland, sits on a 2462sq m block. The castle was the seat of the McLeod clan - Mrs Harkin's maiden name. 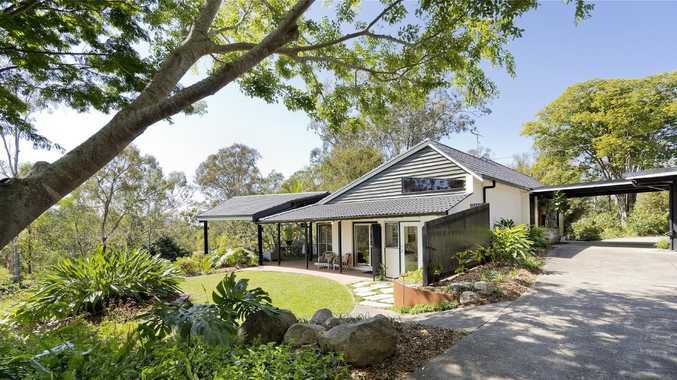 She said the property felt like a world away from the bustling city, and her fondest memories centred around riding motorbikes on the property or walking around and swimming in the dam at Walkabout Creek, which is directly across the road. 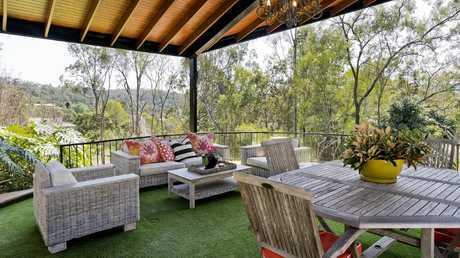 "My favourite part of the house would have to be the alfresco entertaining area," she said. "When my parents built the house there was no town water so they put in a water tank and that (alfresco area) is on top of that. "It is a great spot to watch the wildlife come in. It is a special place." 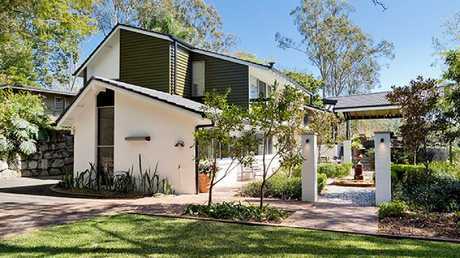 Set among manicured gardens, the home has views to the Taylor Range. On the upper level there is an open plan kitchen, family and dining room. 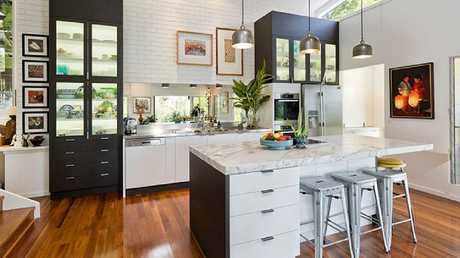 In the kitchen is a calacatta marble island bench opposite a stainless steel benchtop and a walk-in pantry. Access to a veranda and the alfresco outdoor area is via the family/dining room. Also on this floor is a lounge, study and nursery plus a spacious bedroom with a walk-in-robe and ensuite. On the lower floor there is three more bedroom with built-in wardrobes, a rumpus room, a bathroom and a laundry. Outside there is a separate building which contains a granny flat, a workshop, a large storage area and space for two vehicles. 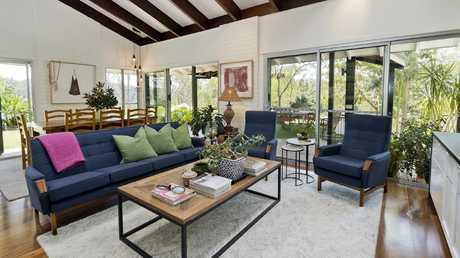 Mrs Harkin said it would be tough to say goodbye to the house they often called The Brady Bunch home but they were downsizing to an apartment in New Farm.